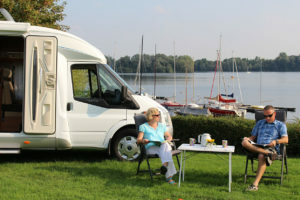 Recreational vehicles have long offered adventurous travelers all the amenities and comforts of home while on the road. However, their sometimes very large size and driving difficulties can make choosing an appropriate RV campground more difficult than expected. Not only that, many campgrounds have rules, regulations, and fees, associated with their RV spaces that you should be aware of before booking your RV site. Many RV campground spaces include water, septic and electric services for the travelers during their stay. However, not all campgrounds, nor all of their spaces, may have such utilities available. If your family is staying for any extended amount of time, the water tank, septic hold and generator in your caravan may not be enough to last the duration. Therefore, it is important to be sure that your preferred space has the necessary services to accommodate your needs. Many campgrounds will also offer other amenities, but be aware that some facilities, such as laundry and showers, may require an extra fee. Also, many campgrounds will limit the number of visitors and vehicles that are included in the standard space fees. It is always a good idea to be sure of what is, and what is not, included in the rental rates of your chosen campground site. 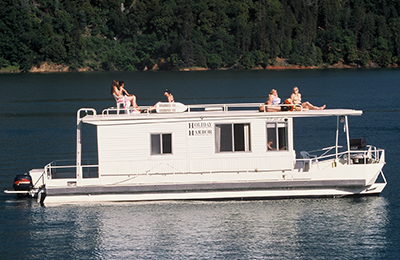 Many lakeshore campgrounds have boat docks available for use by their guests. Unfortunately, this access will often incur fees in addition to your rv space. Not only that, but many of these campgrounds offer year-round moorage to those living near the lake so space may be limited. Early reservations and clear communication can help you be sure there will be a space available for your vessel. During the summer months in many regions, fire danger is a real possibility. Many state, national and federal lands will impose restrictions on smoking, campfires and stoves. Regardless of these restrictions, campgrounds have the right to implement their own restrictions. During periods of high fire danger, many campgrounds will restrict tobacco use and campfires in order to protect their property and other guests from fire danger. Campgrounds may also require fees for pets or restrict their movement with leash-control rules. Again, public lands may have their own regulations regarding pets, but campgrounds in these areas have the right to enforce more stringent regulations. Regardless of land or campground restrictions, you are responsible for the cleanup and disposal of your pet’s waste. Be sure that your pet will be welcome and you are prepared to pay any additional fees before booking your RV site. Being prepared is the key to having a successful and enjoyable stay at an RV campground. Be sure you are aware of any regulations and fees before booking. These things can usually be checked online or by calling customer service before you book your stay. Also, reserve your RV site well in advance to ensure that an appropriate space will be available.